I guess I never capture the page before I got busy. Way back a couple months ago I decided to watercolor in the sky. Bad idea and it discouraged me. I didn’t want to touch it again. Since it is One-Liner Wednesday I thought maybe I should make use of the extra time and pulled it out and determined to finish it. I kind of like it now. And I’ve already taken the picture of the next one so I’me ahead of the game. 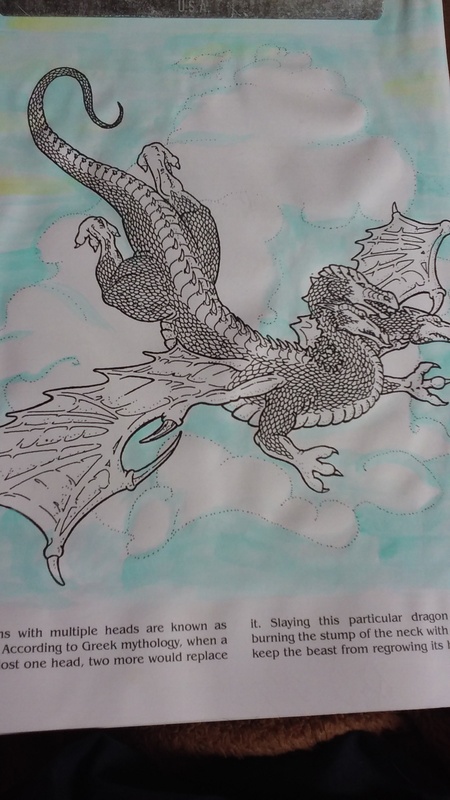 Once again, the Escapist Coloring Club is brought to us by the every busy, Linda G. Hill. Thanks for all your ideas! Oh my! Aren’t you fancy! 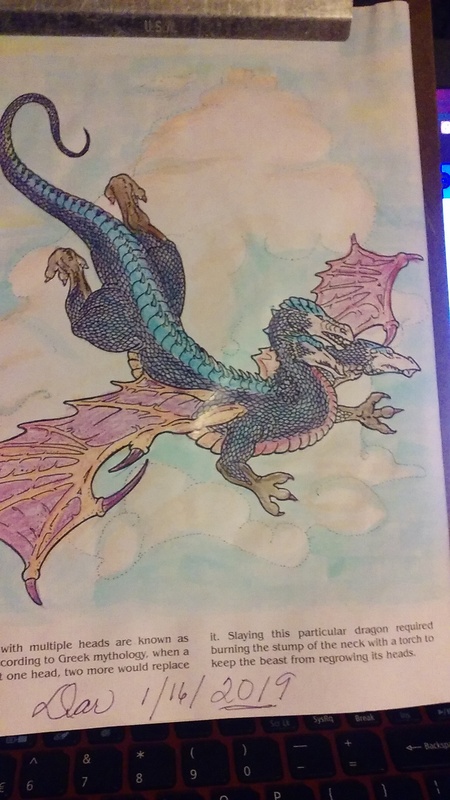 Ah, but the watercolor sky looks lovely…as does the colored in dragon :). Thank you, Margaret. I guess it’s okay in the photo. The watercolor puckered the page. Lots of little details. Nice job.